Home buyers in Shanghai are now required to make mortgage downpayments and pay additional loan interest, while banks have been ordered to tighten purse strings, as authorities move to rein in runaway house prices in the metropolis. According to a notice jointly issued by Shanghai's housing and banking authorities, starting from Tuesday first-time home buyers will pay downpayments of at least 35 percent, buyers of second houses will have to make 50 percent downpayments, while buyers of commercial properties will pay 70 percent. Meanwhile, banks have been ordered to raise interest rates by 10 percent for home buyers borrowing from the government's Housing Provident Fund (HPF) for a second time, with the maximum sum lowered by 100,000 yuan (14,492 U.S. dollars). People who have two mortgage records will be banned from accessing HPF loans. Banks are also required to seriously check papers submitted by home buyers to guard against fabrication for speculative purposes. Home buyers will not be able to borrow if their monthly mortgage payment exceeds 40 percent of their salaries. Shanghai is the latest of about 20 Chinese cities to introduce measures to cool an overheated property market, with the most recent wave of increases starting a year ago. Easy credit and speculation are thought to be the main causes of the boom. Many investors borrow downpayments from online peer-to-peer platforms amid a banking sector credit binge. 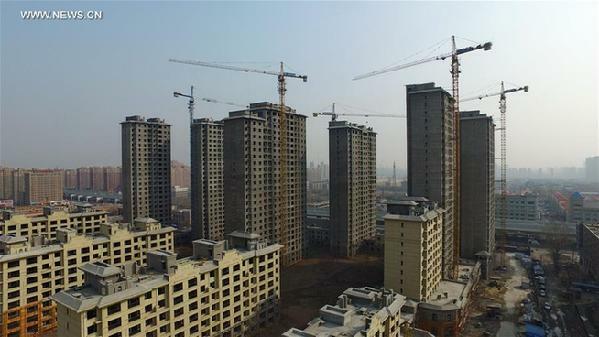 Official statistics show China's banks doubled loans to home buyers in the first three quarters, from a year earlier, to 3.63 trillion yuan (542 billion U.S. dollars). At the height of the frenzy, over 90 percent of cities surveyed in August reported new home price rises. Shanghai saw prices rise 37.8 percent year on year, according to the National Bureau of Statistics, raising concerns that a bursting property bubble might harm the world's second largest economy. In early October, Shanghai adopted a set of measures including increasing land supply and strengthening supervision of capital to control housing prices. The government's monthly housing price survey showed a cooling of the property sector in October, but many fear the slowing of prices will not last long as demand for land in first-tier cities remains strong. Home buyers in Shanghai are now required to make mortgage downpayments and pay additional loan interest, while banks have been ordered to tighten purse strings.